Dr.Nam, a PhD in microbiology from Seoul National University flew in all the way from Vietnam just to meet me for a two days, one to one intensive course in Swiftlet farming. He wanted to learn what he is not getting from all the books he had read and seminars he had attended. Dr.Nam is a specialist in water treatment. He is the CEO of Ecogen Ltd. Ecogen has manufacturing plants in Vietnam, Korea and China. 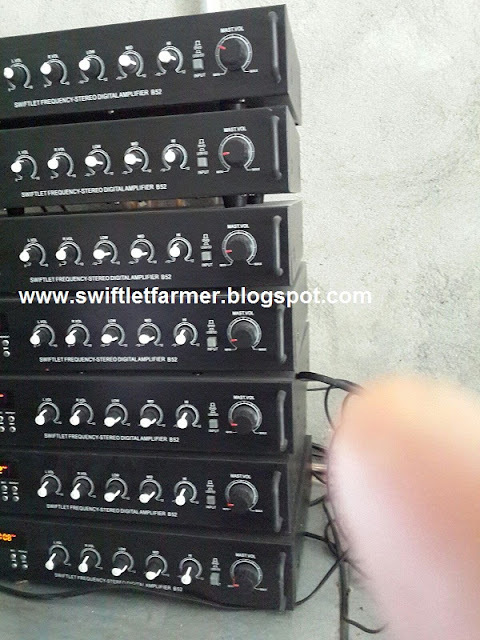 He was attracted to Swiftlet farming not long ago when he saw many birds ( Swiftlets) flying around his manufacturing plants located at the South of Vietnam. 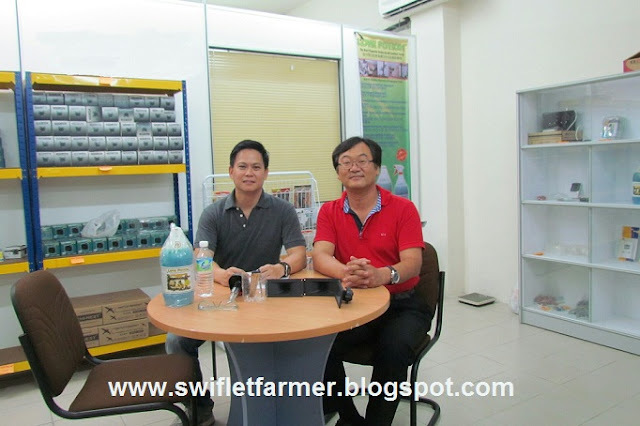 This got him interested and he started to search for more information on Swiftlet farming. He had bought all the Swiftlet farming books available in the market. He read all the Swiftlet farming blogs, forum,etc. He was hunger for knowledge. He was curious and intrigued. Being an intellectual person, he believes the key of success in swiftlet farming lies in how much one knows about the characteristic and the behavior of birds. He believes in data, research, fact and logic. No one can out smart him on this. Not long after he had read all the books and attended seminars in Malaysia, he engaged a local consultant to build his first Swiftlet farm near his factory in Vietnam. 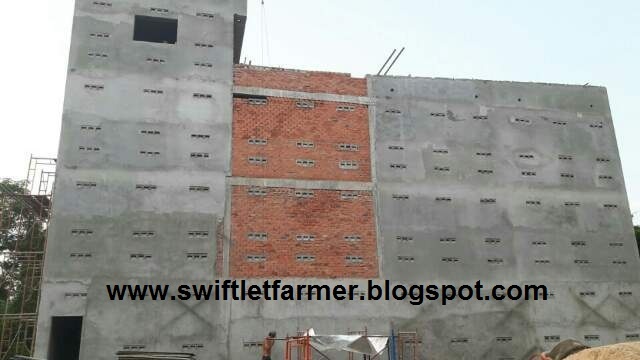 It is a 30'x 60' (ft), 3 storey Standalone Swiftlet farm with a Dog Kennel design. As the building was slowly built stages by stages, he discovered lots of things contradicted with what he had read and learned so far. As he observed further he discovered more discrepancies.This confused him further. Now he longs for more information and knowledge. He has scientific questions which he couldn't find answer. His consultant unable to answer any of them, so as all those books that he had read. 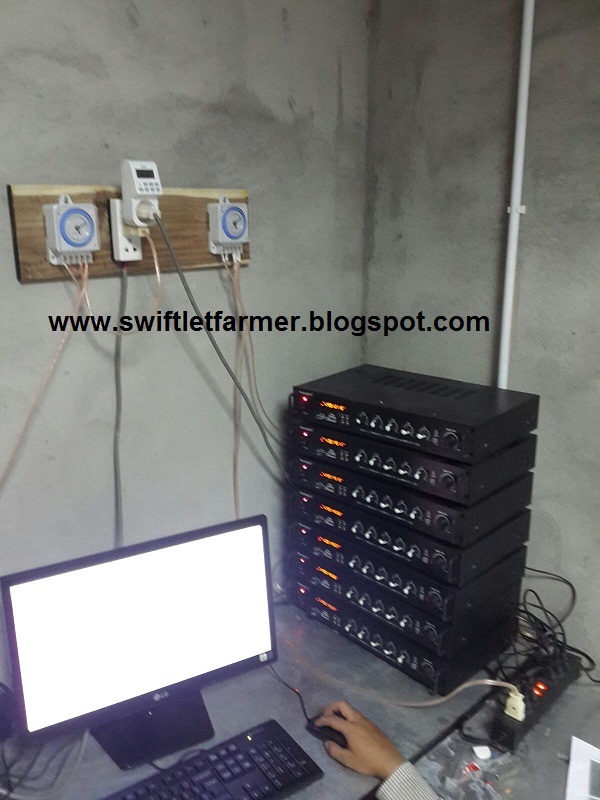 He didn't give up and read all the Swiftlet farming blogs available on the web. That included my blog, in the pursuit to answer his questions. He told me he had finished reading all the articles on my blog (1300+). One word, "amazing". After that he decided to call me. After our telephone conversation he called his consultant to stop the construction work immediately.That was a couple of weeks ago and this is how he ended up becoming my student. I do really enjoy teaching him because he asks lots of questions. That's really freshen up my mind. It challenges my idea, it is amazing. During the one to one, 2 days course , I asked him why did he choose to learn from me as there are so many consultants and Sifus out there. His reply was..." what you had written made sense and logical. You did a thorough observation before coming to a conclusion. You also keep data and do research. And I see you are a person who doesn't believe in myths". Well, I have been doing that " observation, research" for many years and I am still continue doing it now as I am writing. I believe this is the best way to keep up with the evolution and changes in Swiftlet farming. 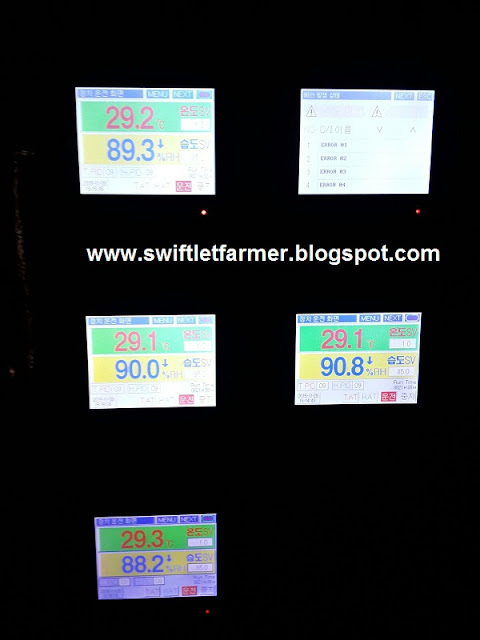 On the second day I took Dr.Nam to visit one of my Swiftlet farms located at the North of Selangor. I believe certain things need to be taught on site in order for one to understand clearly. Like light density, flying path, partitioning and volume of sound system. Practical and theory need to be coincide. 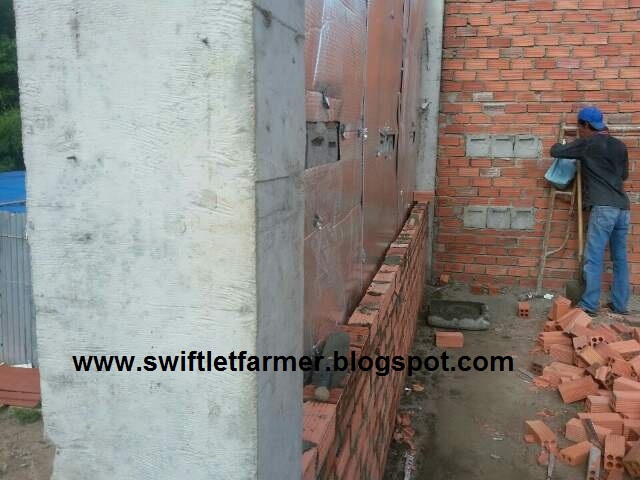 This is to demonstrate Swiftlet farming is not luck or myth. It is science. It can be done if certain skills are applied and adopted. He really appreciate what I had taught him and I am glad that he has learned a lot. I am a Korean, but I have previously stayed in Ho Chi Minh city. 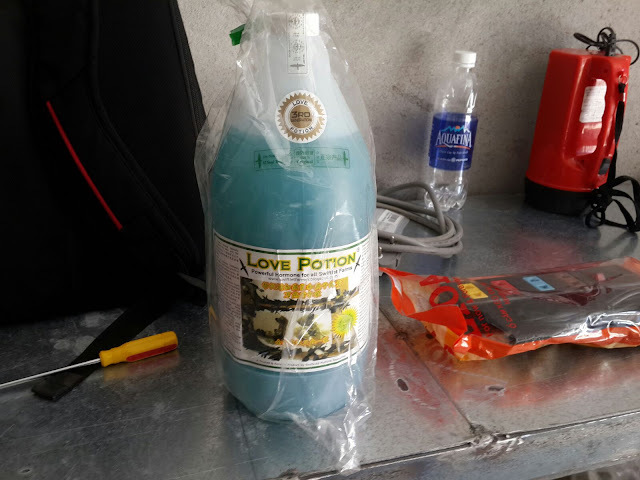 My job in Vietnam is producing specialized machines for cleaning wastewater and polluted air. I also oversee the construction of wastewater treatment plants. About 3 years ago by accident, I discovered a curious phenomenon that many birds would tend to fly around specific buildings. Later I discovered these buildings are actually bird nest houses. Also, I got to know that Vietnamese people enjoy eating bird nest (called “Yen Sao”) as a supplement. I then decided to build my first bird nest house near my factory. I started studying and doing my own research on bird nest houses. I attended seminars in Malaysia, read books, and searched blogs for information. The result of my research allowed me to know what are Swiftlets, why swiftlets make bird nests, and how I can build my bird nest house to attract more swiftlets. However, it was very difficult for me to apply the information and theories that I obtained because most of the books I read and blogs I visited were insufficiently detailed or did not have good explanations. Some books said “No farm should be identical to yours (unless you are a copy cat!)”.. As so, I felt very confused and unsure on which information I should rely on and thus I lack the confidence to move forward. Furthermore, Vietnamese experts which I have consulted did not solve my questions and thoughts. Thus, that is the main reason I visited Malaysia to meet Mr James for a 2 days intensive Swiftlet farming course, as he always tries to explain his theories in the most scientific and logical way. For 2 days, I was under Mr James' guidance. I must thank him for allocating his time to meet me, even though it was a weekend. Mr James first tried to explain simple logic first, and taught me how to apply that same logic into improving my birdhouse. I am sorry that I cannot reveal the details of me and Mr James' conversation as there is some information that is strictly secret. However, I can safely say that my understanding towards bird nest houses is much broader now than before. I now know the basic reasons to why I must or must not do something towards my birdhouse. On Sunday, Mr James showed me his bird house that he had converted his old shoplot into. He had indeed stuck to his principle of logical sense to construct and operate his bird nest house. 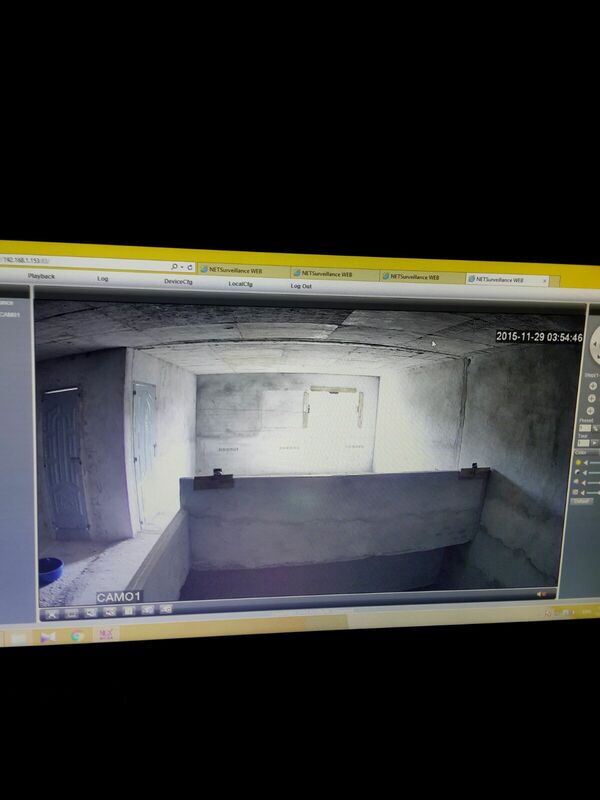 Amazingly, he had gotten a whole 10kg of bird nests in that house. I returned to Vietnam with renewed happiness and higher confidence. The Best is To Share.